Los Angeles Times calls Impro Theatre “Amazing!” One of the funniest evenings as the troupe spins an entire play into comedy gold right before your eyes. Starting with an audience suggestion, the troupe creates completely improvised, full-length plays in the styles of the world’s greatest writers. 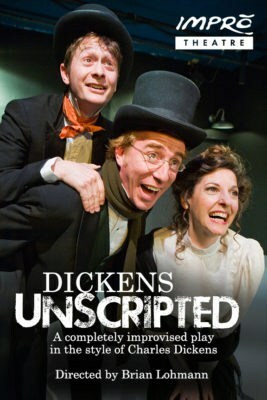 Join us this holiday season for a hilarious comedy inspired by the works of Charles Dickens. Comic portrayals, cruel melodrama and heartbreaking tenderness explode onto the teeming streets of Victorian London. A fun and festive evening of comedy.